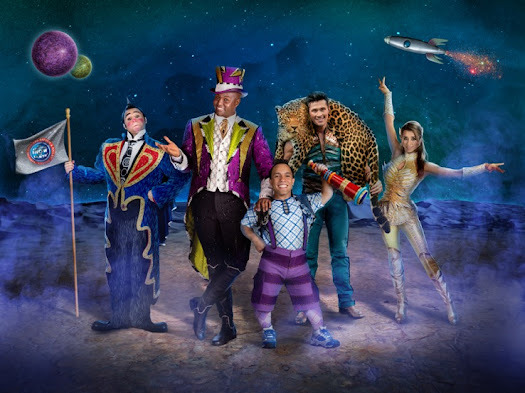 Funky Polkadot Giraffe: Out of This World Circus Debuts in Southern California! Out of This World Circus Debuts in Southern California! Disclosure: We will be provided tickets to opening night at the Honda Center for our honest review. All opinions are our own. be debuting it's new show Out of This World on the West Coast! in Anaheim July 29-August 7th. Tickets for all California shows are on sale now! 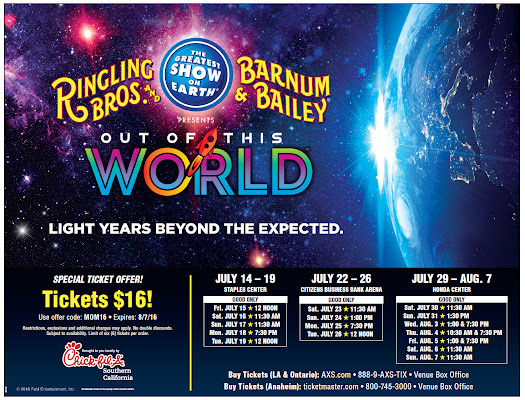 seamlessly from floor to air to ice - a feat never before done in Ringling Bros. history. Note: Tickets may be subject to service charges & facility fees. Note: Tickets may be subject to service charges and facility fees. charge by phone at 800-745-3000 or in-person at the venue Box Office.